After the severe crisis of the mid-fifteenth century, Barcelona is opening to the new times that mark the advent of the Renaissance. But the city's commercial development is difficult without a port where ships can dock with guarantees. King John II in 1477 asks to an Italian specialist, Stassi of Alexandria, to carry out the difficult task of building a safe harbor. Stassi, port engineer and a pupil of Leonardo da Vinci, looks for a solution to in the technical advances of his time. The curiosity and dedication of an old cartographer of Barcelona, Luis Esquiva, will be a valuable aid to understand the old treaties and deepen their teaching. Years later, another character will join the men who want the development of Barcelona: Marcelo Roqueta, a young man that finds in the dreams of Luis Esquiva an escape for his adventurous spirit. 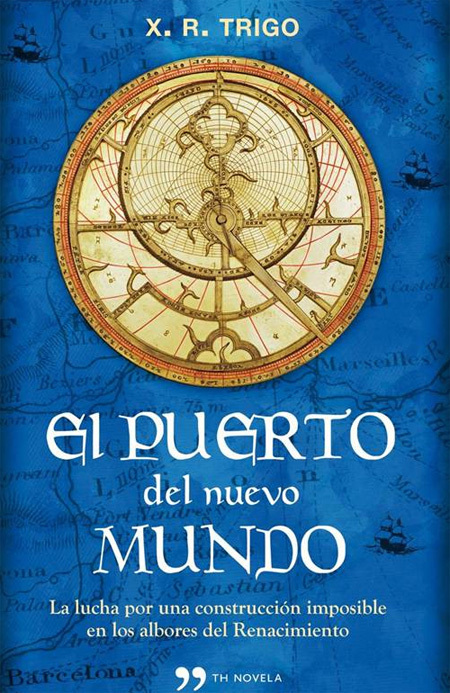 This novel is originally written in Catalan Language and we remember to the Publisher interested in this title, that exists a Programm for Translation Support, granted by Institut Ramón Llull.